The outside of our house is being repainted. The scaffolding is projected inside by the late afternoon sun. 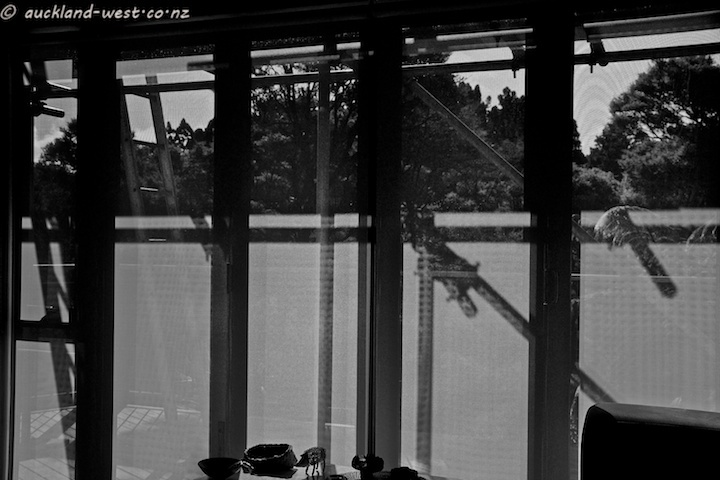 Note the reflection/diffraction artefacts of the weave of the blinds. Curioso e original…gosto disso. Um abraço! The photographer’s eye finds the best in every situation! Well done.